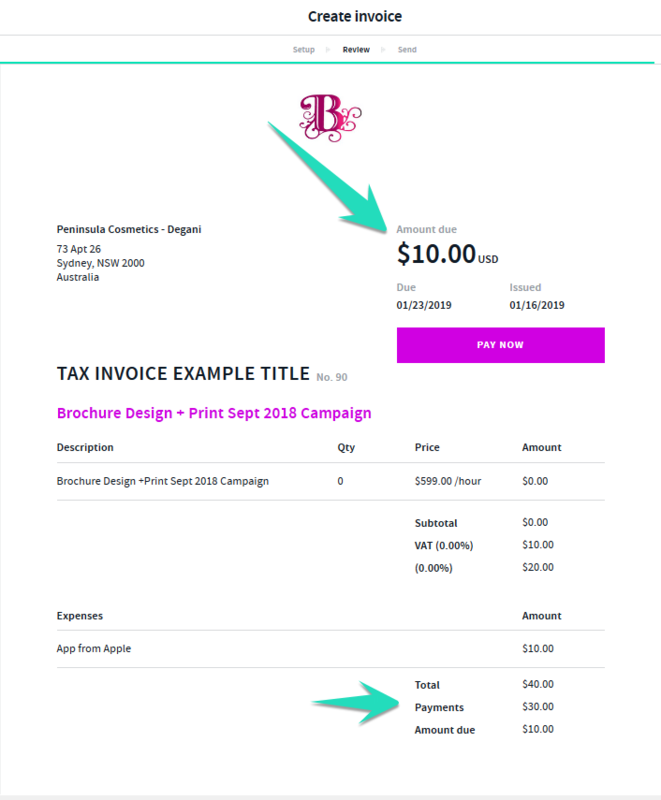 Sometimes clients pay only part of the invoice total and with AND CO you can totally record the partial payment on the invoice and even send an updated invoice showing the payment made as well as the balance owed. 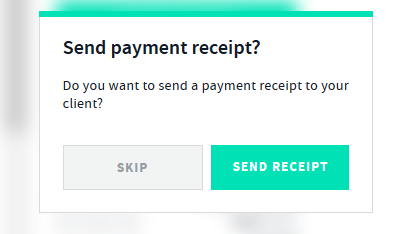 Once you have entered in the details of the payment select Record Payment once selected the payment will be recorded and you will be given the option to also send a payment receipt. 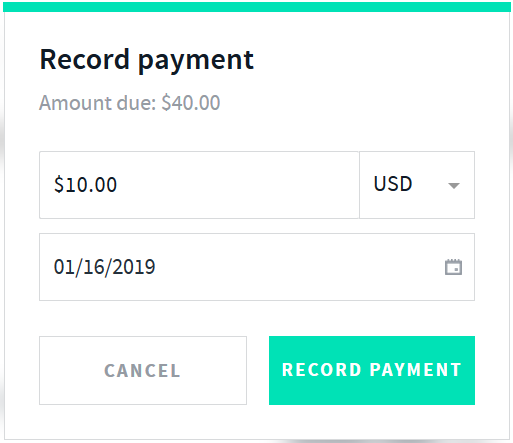 Once the payment has been recorded you will see it reflected against the invoice > invoice history section, showing the date and amount. 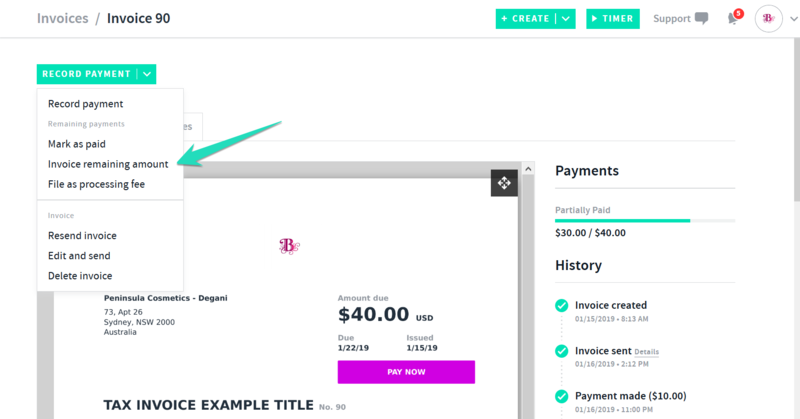 Payments made online via your PayMe Page are automatically recorded against the invoice and you will see this reflected via the invoice > payments tab. Simply select > Next/follow the prompts to Send the updated invoice showing the total paid so far and the balance owed. Once the updated invoice has been sent you will see it reflected in the app/display showing the payments and balance due. You can also see the history via the invoice history section. You will also see via the invoices tab > the invoice showing total amount and amount received. 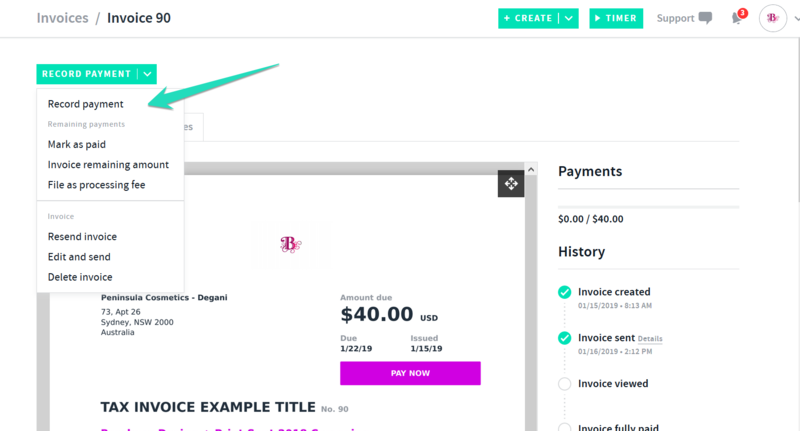 Invoices paid online via your PayMe page will auto record the payments on the invoice. 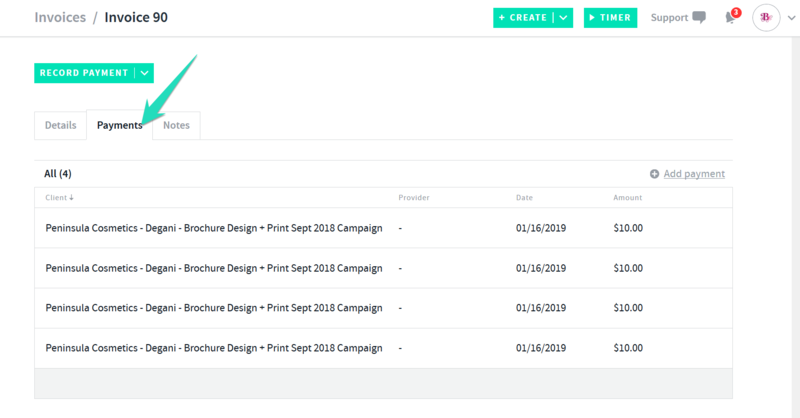 "Mark as Paid" allows you to mark the invoice as paid by ignoring any outstanding amounts on the invoice if required. 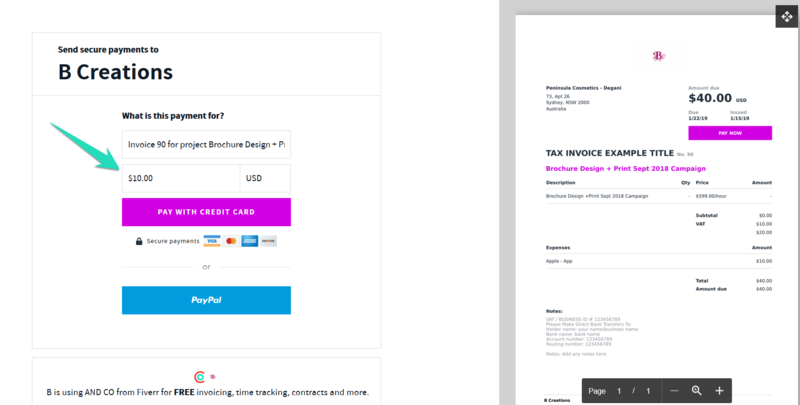 Send a payment receipt at any time via the invoice > invoice history section top right > select the payment amount in green > Send Payment Receipt. Delete a payment at anytime by selecting the invoice > Invoice History section top right > select the payment amount in green > Delete.